A sentiment expressed by several leaders and other stakeholders in the Territory, as they rushed to be part of the "dawn of a rebirth" at the Tortola Pier Park (TPP) on August 28, 2018. 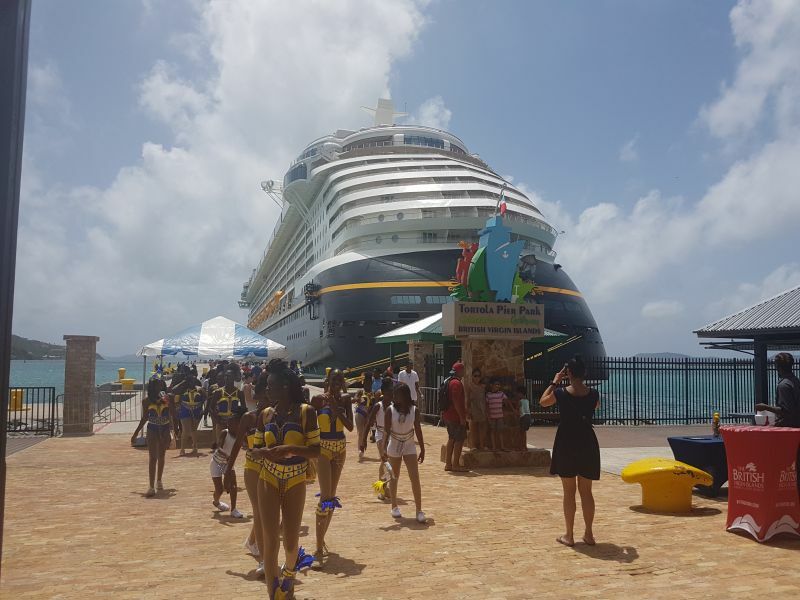 The cruise ship brought with it, in excess of 3,000 passengers and 1,500 crew members. 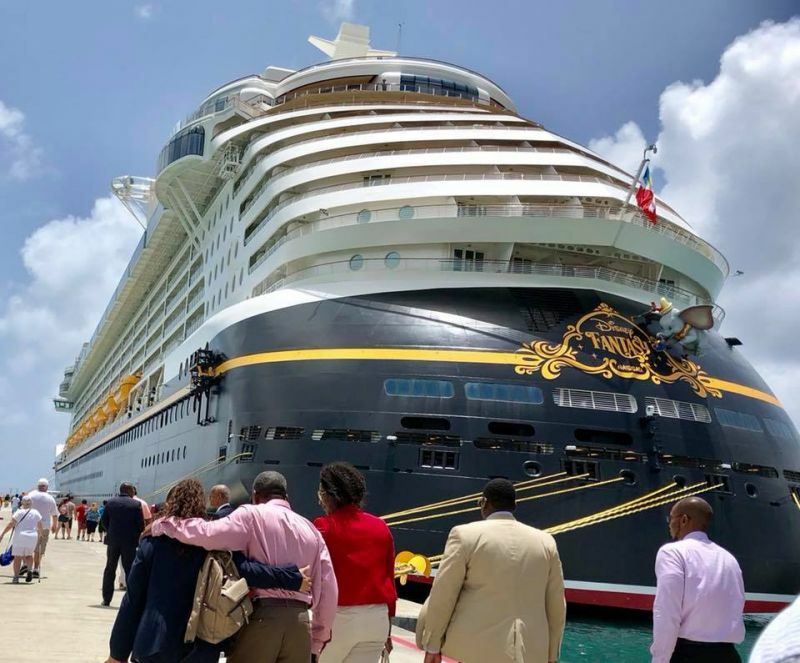 According to Minister for Communications and Works, Honourable Mark H. Vanterpool (R4), prior to hurricanes Irma and Maria of 2017, the Territory had up to 700,000 cruise ship passengers annually. "Seven hundred thousand times fifteen dollars a head, plus the average spending of each passenger is estimated at $100 …So we are talking about $70 million to $80 million per year that we were getting from our cruise ship for the economy." said Hon Vanterpool. 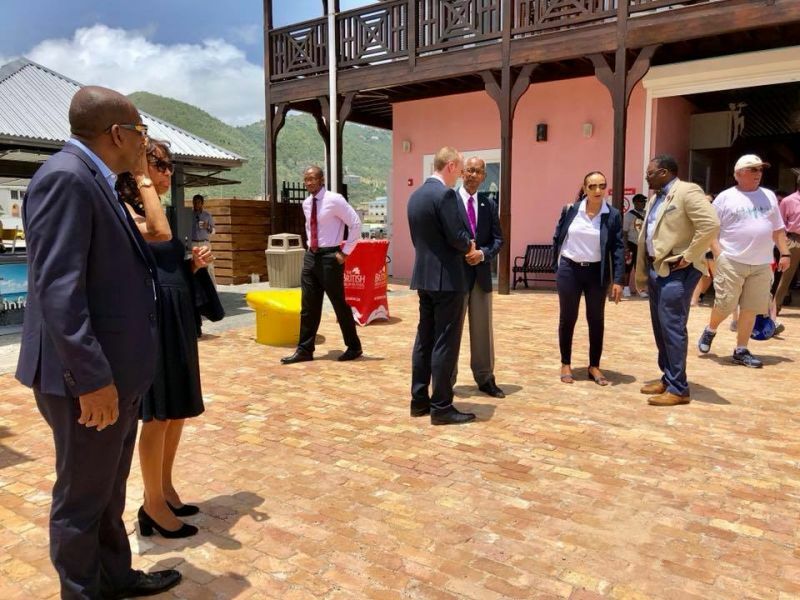 The subject Minister sees the remainder of this year and the year ahead as "promising," with the expectation of new cruise ships. He disclosed that in October, “Norwegian will be back; November we having Celebrity Cruises from the Royal Caribbean Group and other companies are going to be coming in." Meanwhile, TPP’s Chief Executive Officer (CEO), Mr Vance Lewis, said that the facilities at the Pier Park are gradually take shape, having had approximately 75 per cent of the tenants open for business on August 28, 2018. "We are still bouncing, we are not perfect as yet, we have to aim to be better than we are and I think we are going to continue to see improvement as we continue the season." Mr Lewis said the next cruise ship is expected in two weeks time and, "by then you will see further improvement." Mehson yesterday everybody was happy. Taxi drivers and passengers. Thank you Hon Vanterpool and Premier. Have you considered psychological analysis? Depression can be managed with prescription. See your doctor to see if ZOLOFT is right for you. Remember you are not alone. how much did they really spend? More than they would have, if the ship hadn’t come. The cruise ship passengers have never spent close to $100 per person as an average. Where you get these numbers from? God knows some people will remain ungrateful even in time of plenty much less time of scarcity. So "Get Real" we pray that one day your cup will be full and you find the time to count your blessings. hmm ~20 taxi fare + 20 on drinks + 20 food for the family on the beach + 20 for souvenirs + 20 misc perhaps candy/shakes/ice cream for the kids, or umbrellas for the unexpected rain/sun ice cream and maybe even a few dollars spent to get high in the Caribbean for once in their life. 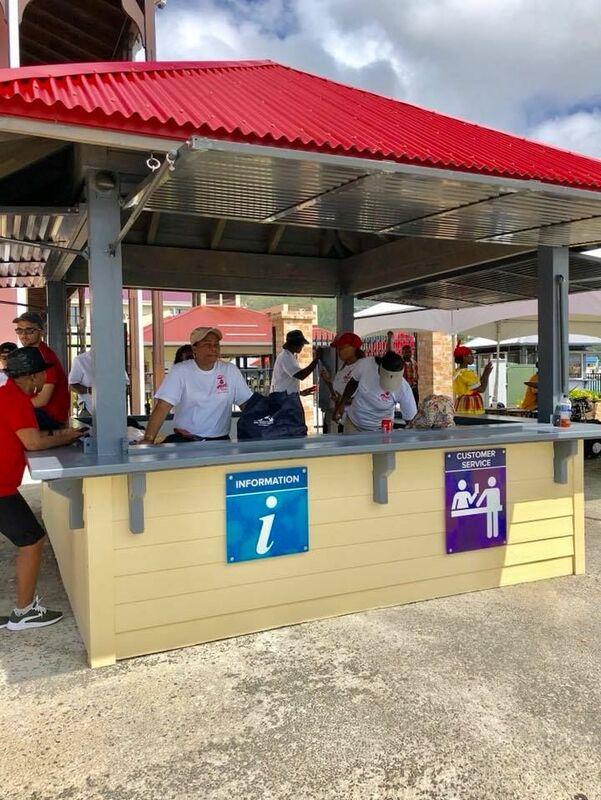 Their money is not all spent in one place, the money they bring in is a boost for a lot of different people in the community. hopefully, the money they bring will be spent in the infrastructure system and not ending in ours corrupt politicians pockets. Sorry to say but this island is a mess, from burning dumpsites to power going off as soon as it rain.